There are two kinds of people: those who haven't gotten their costumes sorted and can't believe it's nearly Halloween, and those who have been ready for weeks and are chomping at their plastic fangs to get this party started. For the latter, suit up. Halloween festivities start early for the kiddies on Saturday, Oct. 25. Boo at the Zoo brings the fairies, superheroes and monsters out to Sequoia Park Zoo from noon to 4 p.m. ($5.75 for adults, $3.75 for kids 3 to 12 and free to kids 3 and under). Flap into the bat cave, ID some skulls, join the costume parade and contest, navigate a maze and get to know some very creepy crawlies, like tarantulas and Madagascar hissing cockroaches. Because regular cockroaches aren't horrible enough. Now they have to hiss. 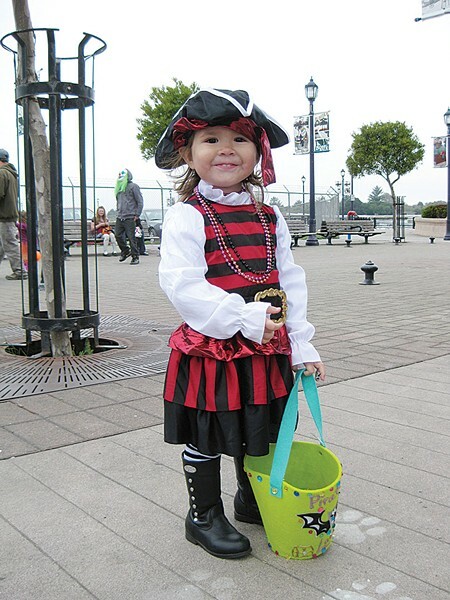 Also on Saturday, Oct. 25 the 30th annual Halloween costume parade kicks off from the McKinleyville Shopping Center at 11 a.m. (free). Bring a bucket for all the candy local shops are handing out and enjoy the SCOP volunteer escorts. Still chasing that sugar high? Eureka's Trick-or-Treat in Old Town is on from 2 to 4 p.m., with zombies, witches and ghosties roaming the closed streets for goodies (free). Remember, we've still got Halloween proper next weekend, so pace yourselves, you little monsters.